This week the dB's, one of power pop's great underexposed bands, stops by the Sound Opinions studio for an interview and live set. The group came together in 1978 as part of New York City's punk and new wave scene, and put out two classic, but minimally distributed albums before singer/guitarist Chris Stamey left the group. Two more low profile records followed before the group broke up in 1988. Now the original dB's lineup is back with a new album, Falling Off the Sky. Jim used to frequently go see this band live in their earliest days, and it's clear that they haven't lost a step in their few decades off. During their visit, the band rips through three songs from Falling Off the Sky, and Stamey and co-frontman Peter Holsapple talk with Jim and Greg about their early days in North Carolina, their label woes in the '80s, and their decision to reunite not for a paycheck, but just because they were itching to play again. It's a cliché to say it, but when you look up "indie rock," you do in fact see a photo of Superchunk. Since forming in 1989, the North Carolina quartet have helped establish indie rock's DIY model, as well as its sound. Superchunk bassist Laura Ballance and guitarist Mac McCaughan also founded Merge Records, one of the music industry's most successful indie labels. The label is still home to the band, as well as The Arcade Fire, Spoon and Teenage Fanclub. Mac, Laura and bandmates Jim Wilbur and Jon Wurster talk with Jim and Greg about how they've done it their way for so long. They also perform songs from their most recent release Majesty Shredding. When digital music piracy began dominating headlines in the '90s and early 2000s, many understood the issue to be a phenomenon perpretrated by a horde of anonymous hackers. But in his new book How Music Got Free, author Stephen Witt has traced a large part of the story back to a single individual with a name. Dell Glover, an employee at a North Carolina CD manufacturing plant, smuggled out hundreds of major recordings and helped leak them online before their official release date. So while the record industry was aggressively prosecuting college students and other members of their own consumer base, one of their own employees was in fact responsible for the bulk of their piracy issues. Stephen Witt joins Jim and Greg to discuss Glover's accomplishments, the ethics of file sharing, and the music industry's inept response. This economy has not been easy on independent labels, as Jim and Greg reported a couple of weeks ago regarding Touch and Go here in Chicago. So, it's that much more significant to hear of an indie label going strong for 20 years. This week Jim and Greg talk to the founders of one such label — Merge Records in North Carolina. In 1989, Superchunk members Mac McCaughan and Laura Ballance founded Merge as a way to release their music and that of their friends. Twenty years later, it's still growing and has launched such bands as Spoon, The Magnetic Fields, She & Him, and Arcade Fire, who gave the label its first Billboard hit. The Moog company of Asheville, North Carolina recently announced it would end production on its flagship synthesizer, the Minimoog Voyager. That got Jim and Greg to thinking about the incredible influence the Moog synthesizer has had on rock and pop music since it debuted in 1964. Robert Moog's invention has seen a renaissance in the past decade, as acts ranging from M83 to Future Islands to Taylor Swift have taken inspiration from the synthpop sound. And two of Jim and Greg's favorite Moog tracks are "Chameleon" by Herbie Hancock and "Les Yper-Sound" by Stereolab. 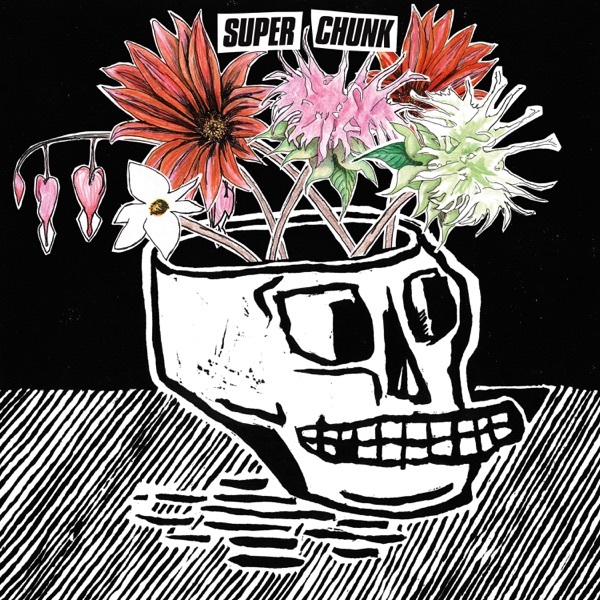 Superchunk has returned with their 11th album, What a Time to be Alive. According to Greg, in recent years the North Carolina indie rockers tend to put out work only when they have a purpose behind it. Jim and Greg both believe this album strikes a particularly insistent political tone. In fact, Greg adds that the album“just roars.”He's never heard singer/guitarist Mac McCaughan sound so worked up, and adds that with tracks like "Reagan Youth" Superchunk“return the favor”to groups like Reagan Youth that inspired them back in the 1980s. Jim says that in times of crisis, music helps motivate people. He thinks that songs like "Break the Glass" fuel that motivation. Jim and Greg give the record a double Buy It. 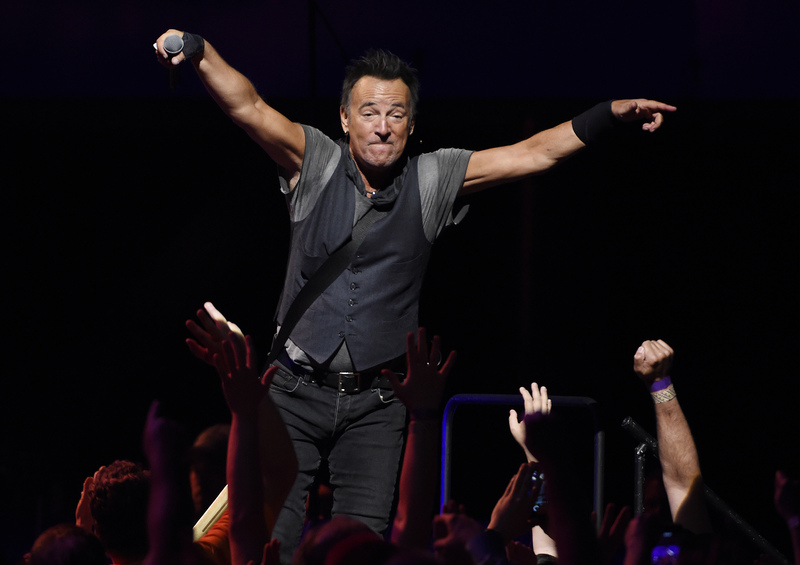 Bruce Springsteen canceled a concert in Greensboro in protest of North Carolina's new“bathroom law,”which dictates that transgender people use bathrooms that match the gender on their birth certificate. Bryan Adams also called off a concert because of a similar law in Mississippi. Jimmy Buffett is going on with a pair of North Carolina gigs for the sake of his fans, but says he'll reconsider playing in the state in the future. Jim argues that The Boss is unfairly penalizing his fans and would make more of an impact by speaking out from the stage and leading a march to the Statehouse. Greg counters that Springsteen's cancelation has led to far more media coverage and awareness of the issue. Steve Miller was inducted into the Rock and Roll Hall of Fame last week, but took the opportunity to blast the Hall during and after the ceremony. He criticized the lack of transparency in the nominating process and its exclusion of women, as well as calling the whole induction process unpleasant. Jim and Greg have never had kind words to say about the Hall of Fame, pointing out that while Miller's criticisms aren't new, nothing seems to have improved. There has perhaps been no bigger news story this summer than the fuel crisis. But, while we're all affected by rising gas prices on a daily basis, it's easy to forget the impact on the music industry. As Sound Opinions has been discussing for years, the music business model is transitioning to put more emphasis on touring and less on album sales. This becomes hard, though, when a band can't even afford to get into its van and on the road. Jim and Greg talk to Beth Tacular, a member of the North Carolina band Bowerbirds, about the challenges independent musicians are facing this summer. If you‘ve ever felt like a musical pariah because you just couldn’t get into the latest“it”band, you may want to consider a trip to the Netherlands. In the latest issue of Frontiers in Behavioral Neuroscience, Dutch researchers say that while treating a patient for obsessive-compulsive disorder using an electrical implant in his brain, they inadvertently activated the area that may affect musical preference. Before treatment began, the patient wasn't much of a music fan. But, while receiving electrical stimulation via the implant, he suddenly became one of Johnny Cash's biggest fans, going on to purchase all of The Man in Black's CDs and DVDs. When the implant's battery ran out, though, the patient regressed to his pre-music indifference state. It's fascinating stuff and Jim wonders if the implant could get even him to love Bruce Springsteen? This year's "American Idol" has been crowned. But beyond winning the TV contest, North Carolina native Caleb Johnson has been winning comparisons to Meat Loaf. In fact, Marvin Lee Aday's Facebook page was flooded with notes of congratulations. Meatloaf was happy to hear that Johnson brought "some real rock ‘n’ roll back on prime time TV." And the new Idol may even star in a possible remake of The Rocky Horror Picture Show. He's sure to nail a rendition of "Hot Patootie – Bless My Soul." In other contest news, Russian authorities were are not pleased with the recent crowning of drag singer Cochinita Wurst as the winner of this year's Eurovision Song Contest. So put off are they, in fact, that they plan to launch not one, but two alternate Eurovision copycat competitions that will be free of anything "moral[ly] degrading." The Russian people are having a more mixed reaction, with one fan even planning to open upscale beauty parlor named in Wurst's honor. 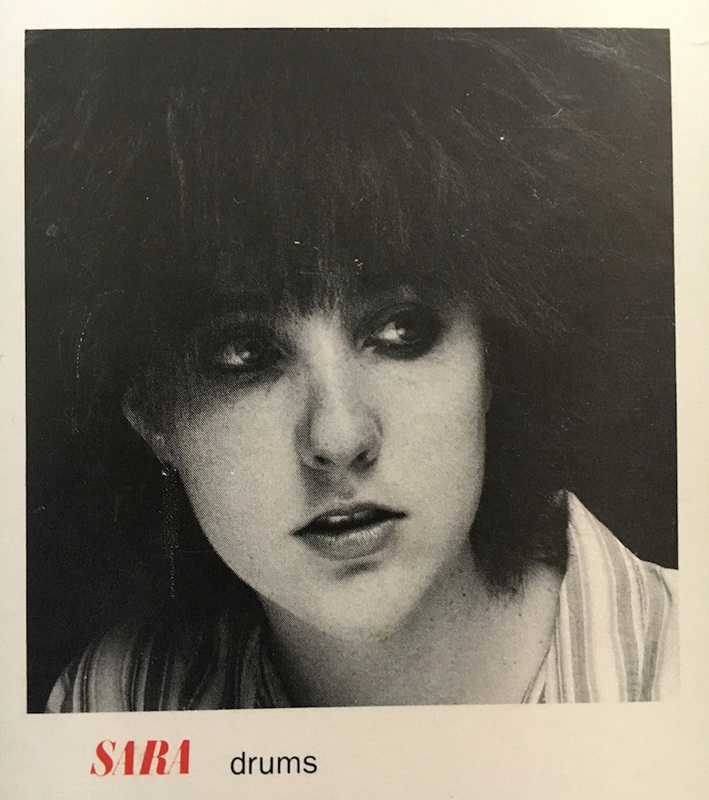 Sara Romweber was a central member of the North Carolina independent music scene from her teenage years to her death this month at age 55. As the drummer of Let's Active, she was closely associated with Mitch Easter, who would go on to produce R.E.M. as well as many other bands. She later drummed for the band Snatches of Pink and in the past decade performed with her younger brother, Dex Romweber, in the Dex Romweber Duo. Dex is known for his band Flat Duo Jets, which Jack White has cited as a major influence. Sara Romweber's death prompted an outpouring of tributes, notably from members of the band Superchunk, who described Romweber as creative, caring and inspiring.